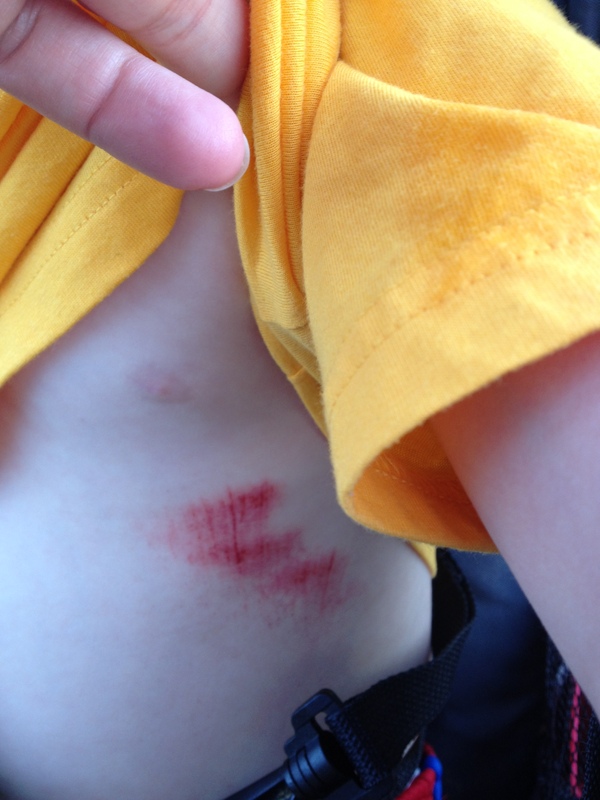 Oh yeah, and look at the booboo we got at the splash park on Saturday…never a dull moment. Oh dear, give that boo boo extra kisses! He will have such a good time at school. Oh, very painful looking boo boo! Me too in the sending kisses department!